There are occasional moments that inspire you when you least expect it. 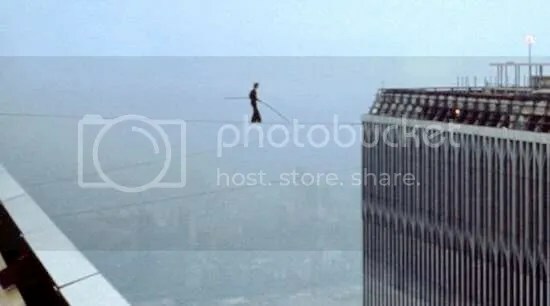 I sat down in front of my Lovefilm player (other streaming movie sites are available) two nights ago and ended up watching ‘Man On Wire’, the 2008 documentary on Philippe Petit’s wire walk across the towers of the World Trade Centre in 1974. The film itself is rather good but one bit stood out amongst all the others for me and proved that sometimes the best stories aren’t the ones we make up. That went in the notebook pretty much straight away. It’s been a slow slog to get it done but finally, whilst scribbling in my notebook the other night, I finally laid down a short synopsis for ‘Seven Lucky Stars’. Synopsis writing isn’t something I greatly enjoy for the simple reason that the idea is to blow your own trumpet about the project, something I’m usually uncomfortable with. Seeing the story laid out in simplistic terms often forces me to think that it’s slightly ridiculous. The question as far as this blog goes is ‘How much do I show?’ which has been troubling me for a few days now. Many writers will lock ideas up and refuse to tell anybody anything about them for fear of them being stolen. I’ve been to writer’s where I’ve asked others what they’re working on and received the reply “Oh well it’s very top secret right now” as if they’re working for the FBI. It might sound enigmatic, they might think it makes them look cool but it’s a bit of a conversation killer at such gatherings. How am I so aware of these people? Because for a long time a few years back, I was one. 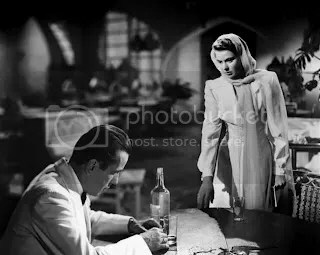 There is always the feeling, at least in the beginning, that your ideas are so brilliant and so ground breaking that anybody you show them to will instantly copy them before walking into Hollywood on your ticket. It’s a terrible way to be and usually means that you finish stories and scripts but never end up actually getting them out there. They end up created in a vacuum, nothing ever touching them. I can understand not putting full scripts on the blog, firstly because it would take up so much room and secondly because I usually keep rewriting them. On the other hand though it’s very difficult to talk about an idea when anybody reading this will have no clue what it’s about. Therefore, for your reading delight, here’s the synopsis I’ll be using to push the script. ‘Until now Edward Banks has had the TV world at his feet. Being the presenter of the 1980’s best loved game show ‘Seven Lucky Stars’ has brought him from performing stand up comedy in dingy clubs to the bright lights of prime time. He has all the houses, cars and video cassette recorders money can buy. During the filming of one particular episode however, the dream ends. Driven by pressure from the heads of the studio, producer John Woodward has been lumbered with the job of breaking the news of Edward’s imminent sacking to his long time friend. Recent surveys have revealed that Edward’s brand of humour, once seen as fun and outlandish, is now viewed as sexist and outdated. Making matters worse is the fact that his replacement is Edward’s old comedy club rival Ken Moon. One of the hardest parts was to make it clear the play is set in the 80’s without screaming ‘This is the 80’s’ from the rooftops. I just thought it sounded really blunt and obvious hence the ‘video cassette recorder’ reference. Apart from that it’s fairly functional and we’ll have to wait and see if it gets me anywhere or not. It was mainly constructed to send an application to The Old Red Lion Theatre in London but I’ve saved it on file for others. Eventually I’ll get this done and I can move on to something else. And other such questions that force me to smash my head off my keyboard many times over. 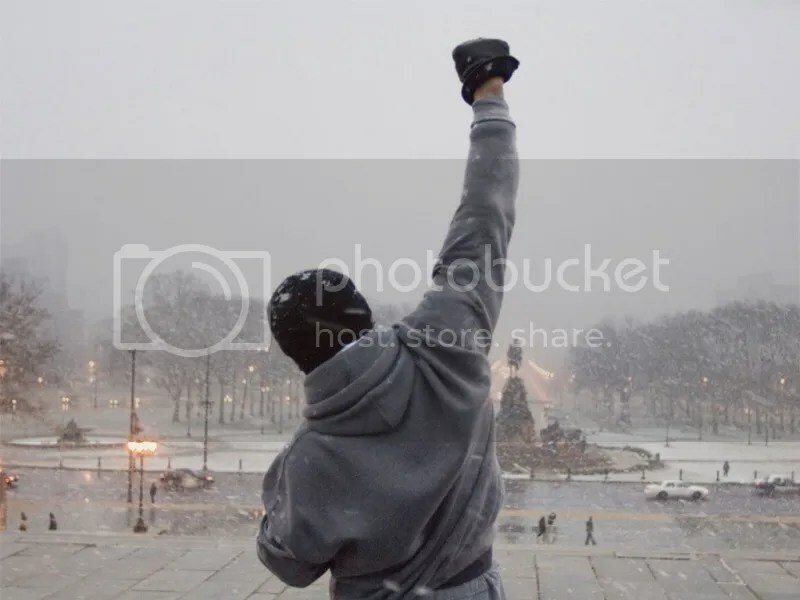 I’ve reached that horrible part when you’ve finished the script and need to knock it into some kind of shape so that it’s acceptable to the outside world. It’s the part I hate, an effort to condense your work down to a bitesized chunk, to get to the kernel within, to separate it down to bullet points. It’s an evil that needs done because there isn’t much of a way around it but I get the creeping feeling that I should be spending the time writing new stuff. Then there’s the other questions as listed above. It’s basically like a job interview done on paper. With that in mind I’d better crack on. I feel like I haven’t written anything new and worthwhile in ages. A few weeks ago I finished polishing up ‘Seven Lucky Stars’ and it sits there waiting to be sent out to more theatres. This is usually the time though, right on cue, that I get the voices of doubt. It’s not anything like Brian Wilson had during his Beach Boys career, voices saying they’re going to kill me but it is a small noise that tells me I’m not really good enough and that this writing thing should have been confined to the cupboards years ago along with all the other remnants from my childhood. I shouldn’t be here anymore, the chance has long gone and I have been found wanting. Why carry on? I’ll go through patches like this, patches when absolutely no writing gets done as a result. To be honest it’s almost always at the start of anything I write when it’s at the loudest simply because there’s nothing there to combat it. You don’t have any notes, nor do you have any writing, you just have a bare minimum of an idea and blank pages. If ideas grow from one single spark then here’s at the most vulnerable. I never usually get writer’s block as the condition is defined as not knowing what to write. I have ideas, a fair few of them mulled over continuously in the last few months, so it’s far from that. What I do struggle with though is gaining a foothold somewhere about it before starting the climb. It’s a phase that can take weeks if not months. Once started I can usually rattle through and get something readable which is when the manic writing comes in. Reaching that tipping point between the two is a slight art. Once the doubting voices have shut up I have an sketched out idea for a short film. I’m hoping for a chunk of 1950’s influenced sci-fi. The deadline is October 31st, I’ll know just after then. Back in the days when I was fresh faced and youthful and The Matrix had arrived on one of them new DVD disc things, I enrolled on a Film Studies A-Level. On the morning the class began the tutor noticed around 45 faces staring back at him in the room, all crammed into every corner, sitting on tables due to lack of space in the room. “Who signed up for this class because they thought they’d be watching new movies every day?” he asked. A vast percentage of the room stuck their hands in the air. “Okay” he replied “We’re going to watch a film right now but here are the rules, the door will remain open through the screening for you to leave if you get bored but if you leave today then you can’t come back for the rest of this course. I don’t want to see you again in this room”. There were some noises of derision in the room. Four people got up and left. Another five headed for the exits, enough for those on tables to now find a seat. “It’s an example of Classic Hollywood Narrative”. With that he produced a VHS tape (yes, it was 1999) and let it roll. Within the first ten minutes another eight had gone back to the canteen never to be seen again. Two hours later we were engaged in a deep discussion on classic Hollywood narrative. It ended up being the first day of a very enjoyable two years of watching a vast variety of movies from far flung corners of the globe as well as others closer to home. There were periods during 2001-2002 when I’d be watching about three films a day and then attending student movie screenings at night. I usually wasn’t fussed what I saw at that time because I’d usually do the media student thing of sitting with a notepad taking notes whilst watching. It’s the reason some friends are amazed that I’ve never seen some of the more mainstream movies in my time. I have never seen Robocop for example, it took me until a few weeks ago to watch the original Total Recall, the Rocky series of movies passed me by and *whisper it* I’ve never seen Return of the Jedi. By 2004, at the end of my degree course, I found myself burnt out with films in general. It’s only in recent years that I’ve gone back to some of my favourites and gone out looking for some new ones to add to the pile. I don’t think my passion for making films has quite come back, I had enough hassle with that back in college, but my desire for a good story is slowly coming back to me after a few years away. I’ve spent some time attempting to silence the inner critic that was so loud during the college days and just enjoy films again. So he climbs some stairs and wins a boxing match yeah? And with that we shall say no more.